Acer bloodgood - Attractive foliage with burgundy red coloring, turns brilliant scarlet in fall. Interesting blackish red bark provides striking interest in winter. 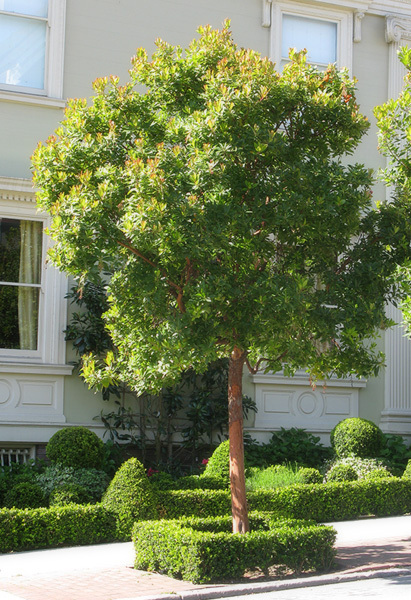 Slender, airy tree well-suited for use as a small lawn tree or for patios and entryways. 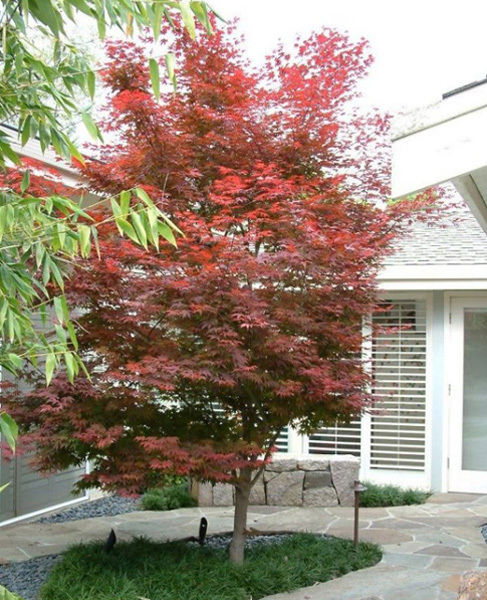 One of the hardiest of Japanese maples, with good sun tolerance. Deciduous. 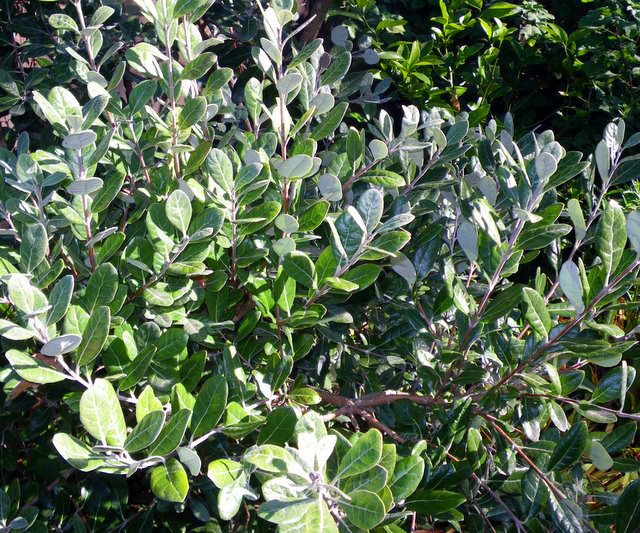 Arbutus marina std - Delightful small garden tree having larger dark green leaves than the species. Rosy pink flowers appear at the same time as the red and yellow strawberry-like fruit. Good firewise landscaping plant. Evergreen. 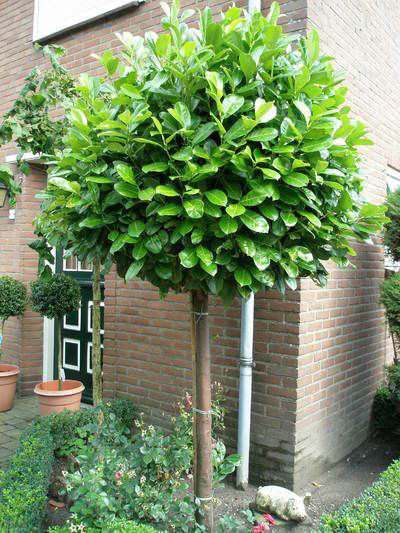 English laurel std Large evergreen shrub has dense, erect branches and rich green leaves. Tiny flowers have sweet fragrance. Tolerant of salt spray. A popular choice for clipped hedges, group plantings or screens. Pineapple guava std A versatile, easy to grow plant yielding edible flowers and tropical fruit! Fleshy, white flower petals have showy red accents, contrasting nicely with the gray-green foliage. Tasty guava-like fruit ripens in late fall. Multiple, upright branching form is easily trained as espalier, hedge or small specimen tree for landscape or container. Evergreen.